The US Dollar appreciated about 80 base points against the Canadian Dollar on Friday. 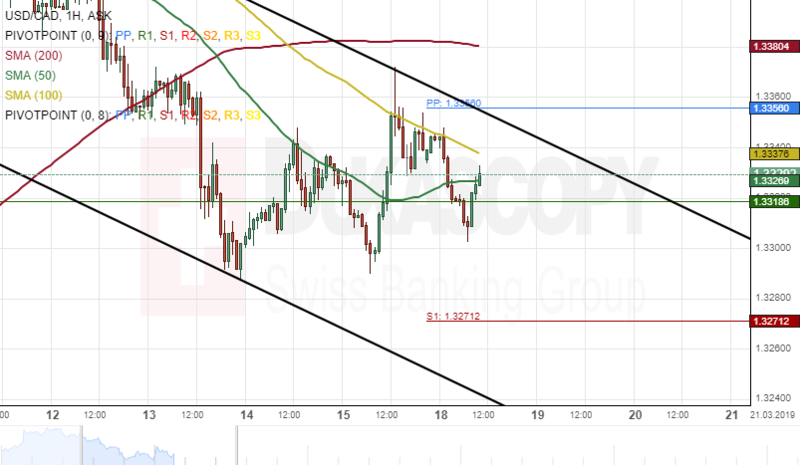 The currency pair tested the upper boundary of a descending channel pattern during Friday's trading session. Today's trading session began with a bearish sentiment. By the middle of the European session, the Greenback had depreciated about 0.37% in values against its Canadian counterpart. By and large, it is likely that the USD/CAD currency exchange rate will maintain its descending channel pattern today. The possible downside target for bearish traders will be near a support level at 1.3271.